Congrats! to River City Art Association members Debbie Goodin of Terre Haute and Deborah Anderson of Carbon. Both had artwork chosen by jury process for the 71st Annual Wabash Valley Juried Exhibition at Swope Art Gallery in Terre Haute. 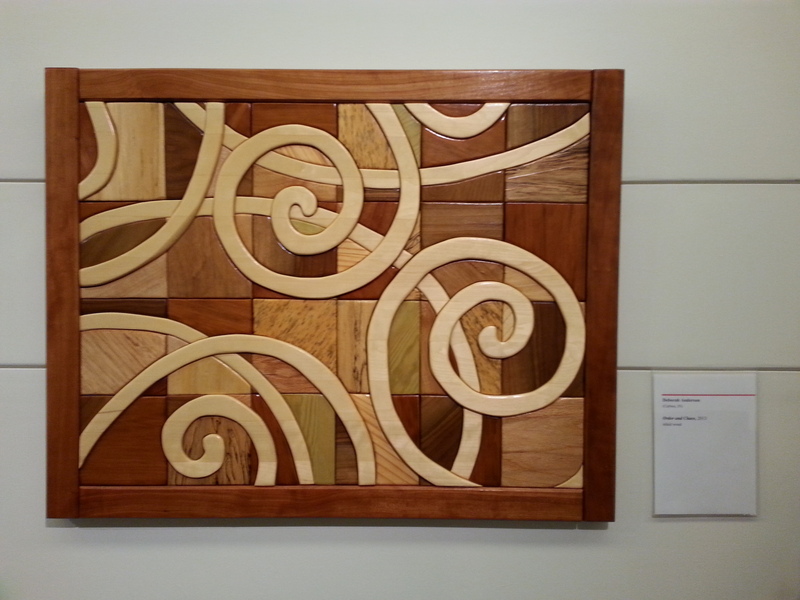 Anderson’s Intarsia (inlaid wood) entry titled “Order and Chaos” are among the 55 works in this exhibit on display through Aug. 8. This entry was posted in Member News and tagged Debbie Goodin, Deborah Anderson, Intarsia, photography, River Blooms, River City Art Association, Swope Art Gallery, Terre Haute. Bookmark the permalink.